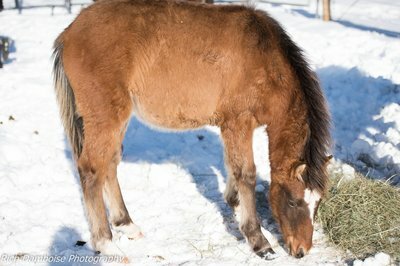 For as little as $10.00 a month, you can help the critically endangered Newfoundland Pony defeat extinction. With your support we can keep them safe while we work to make change. 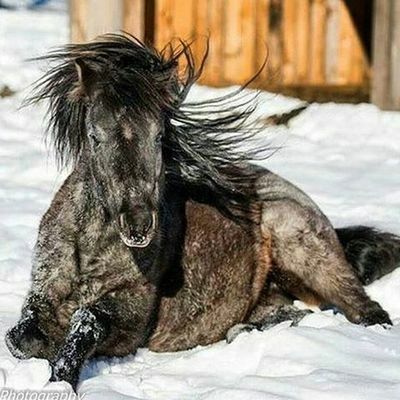 Sponsor one of our Newfoundland Ponies. 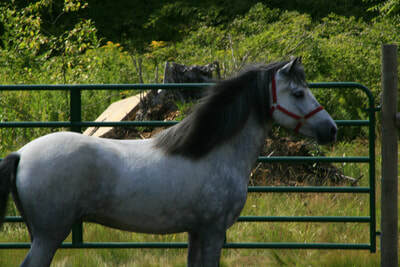 Get photos and updates on your pony as well. To read about each pony, hover over a photo. Click on it to sign-up today! 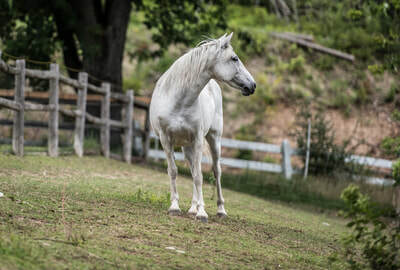 Ammy - an incredibly friendly and kind stallion, Ammy is an inspiration, proving that despite his permanent leg injury, he is a survivor in his own right. 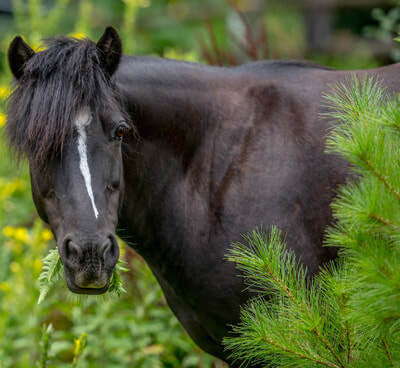 Heather - a head turning beauty, Heather is smart and very careful with people, caring about them as she would her own foal. Mandy - An athlete, jumping is her forte. She is brave yet sweet, strong and quick footed. She has a wonderful work ethic and is always game for anything. 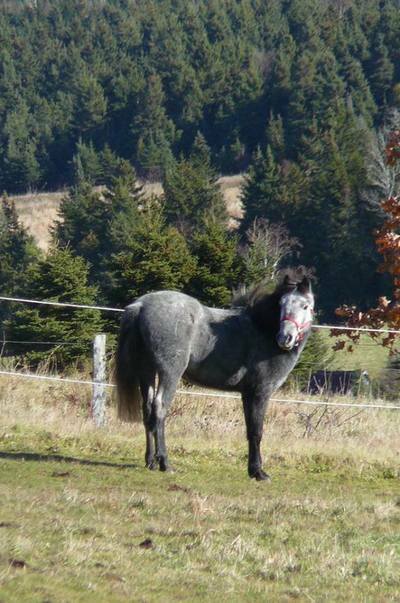 Winsome- a radical color changer, her coat is an ever-changing mix of blue roan, and black. Winsome has been friendly and comical since the day she was born here. 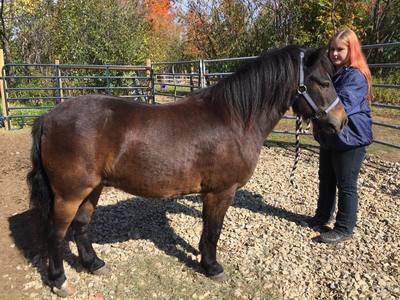 Erik, this little gelding has a big build, big heart, and a big personality. He is Mr. Charming, outgoing and full of confidence. Smokey came to us from Nova Scotia with Erik. 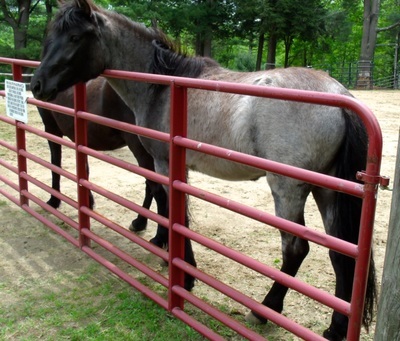 Smokey, a gelding, stole the hearts of every mare on this property the moment he arrived. He is friendly, and gentle and a favorite here at the sanctuary. ​"Ace" was born in May of 2016. He is probably the most laid back baby we have ever known. Friendly and well mannered, he has been taken under Ammy's tutelage on how a fine young colt should behave. 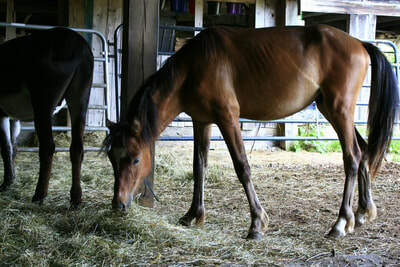 Storm - don't let the name fool you, this mare is quiet, cool and collected. Sweet as can be, she is Misty's longtime friend. 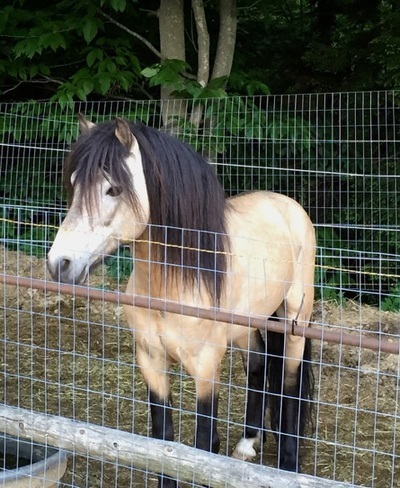 Misty - the Marilyn Monroe of the herd, the boys absolutely love her (especially Ammy). Not much for riding, Misty much prefers to go to work in a harness in the fields. This pretty girl likes to get down and dirty! 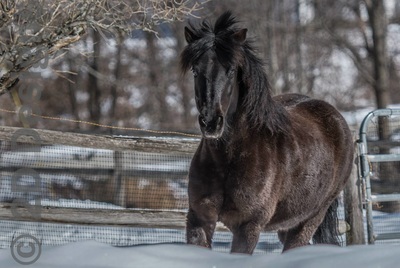 George is on his way from Canada and will be a life time resident of the Sanctuary. At only 5, he's a special needs pony like our Ammy and Smokey and will live out the rest of his life here loved and cared for.